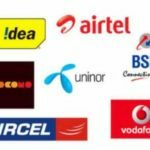 Ussd codes which helps to View or know Our Real time status of Balance , Internet data etc so here we shares Ussd codes for all Indian Mobile Network operators Including Airtel, Reliance Jio , Vodafone , Idea , Aircel and all Other Mobile Networks. Recharge card ussd code number – *135*2<Scratch card Recharge Pin>#. Balance Inquiry Ussd code – *191*2#. Know Validity of Your account – *191*3#. Docomo Service Points – *191*4#. Ussd code to know Last 3 Recharge History – *191*5#. Know daily sent sms – *191*9*3#. Know Special Offers which is only for you – *123#. Check 3G Internet Packs – *141*1#. New Internet Packs – *141*4#. Know own Number in Idea – *789# or *100# or *1#. 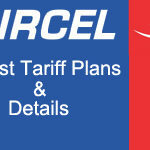 Check Internet data balance – *125# or *131*3#. Check Remaining Sms balance – *451#. Transfer Main balance to other Idea users Ussd code – *567*Mobile Number*Rs.#. Check Main Balance – *123#. Check own mobile number – *140*1600# or *282#. Sms Pack List – *555# or *777#. 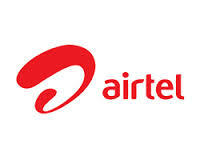 Check Internet data balance – *123*7# or *123*10#. 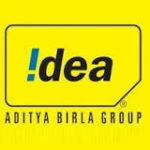 Idea Customer Care Toll free no. – 198. 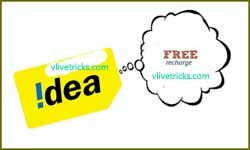 Activate DND service by call in Idea – 1909. Activate Twitter service – *515#. Check 3G data Pack balance – *123*11#. Check Remaining 3g data and sms *112#. Check Video Call Balance – *123*9#. Local Network Call Minutes – *123*6#. Night GPRS Pack Balance – *123*8#. To Know Main Balance – *367# or *306# or *402#. To Check Internet Data Balance – *333*1*3*1# or *367*3#. To Check Your Own mobile Number – *1#. To recharge via Scratch Voucher Card – *368# or *305*<14 digit pin>#. Special Packs Offers – *777#. Find Caller Tunes – *999#. Internet Packs – *123# or *321#. Free Net Service ussd code – *123*099#. Know own Mobile number ussd code – *1# or *234*4#. Balance Check ussd code – *125# or *127#. Remaining GPRS Data – *126*1# or *126*4#. Remaining local minutes and SMS – *123#. To check Main Balance – *141#. To check V2V Night Minutes – *147#. To Check SIM Card Number – *111*2#. To check remaining SMS Balance – *142#. Calling Balance Minutes – *145#. To check Free Local Minutes – *148#. To check Active Data Plans Ussd code – *111*6*1#. Once Usage Allowance Packs – *111*6*2#. Low Balance Services Menu – *111*9#. Last Three Calls Details – *111*3*1#. Last Three SMS Details – *111*3*2#. Last 3 Charges Details *111*4#. Last 3 Recharges Details – *111*5#. To check main balance – *123*3#. To make own data pack – *123*7#. 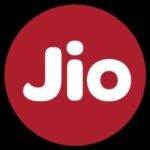 Tags :- ussd codes for checking internet data pack balance , Main balance of Airtel Idea reliance jio , Vodafone and all other india mobile network operators.